(TibetanReview.net, Dec18, 2014) – The Dalai Lama has expressed belief that Chinese President Xi Jinping was being held back by hardliners within the communist party leadership from discussing the granting of genuine autonomy to Tibet. Speaking to the French television station France 24 in an interview to be aired Dec 17, he said he took heart from hearing Xi talking about Buddhism recently, reported Reuters Dec 17. The exiled spiritual leader of Tibet has said that he thought there were “some indications” of Xi being ready to discuss his calls for genuine autonomy. “But at the same time, among the establishment, there is a lot of hardliner thinking still there. 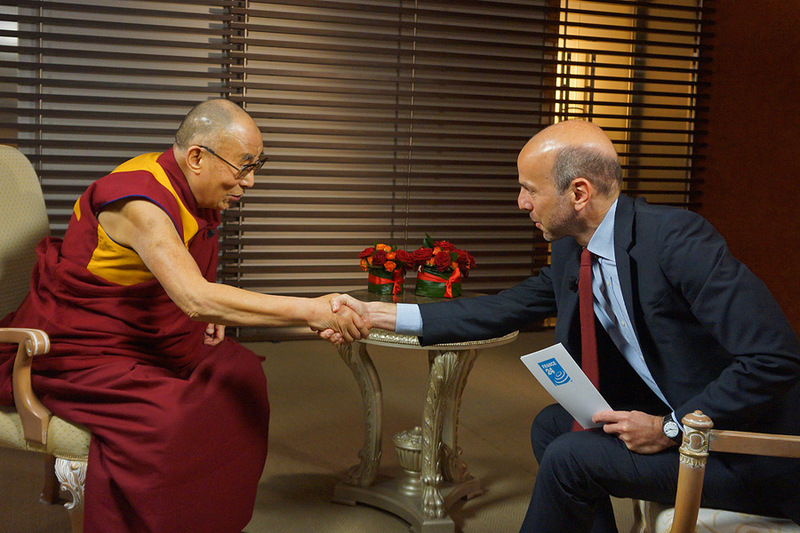 So he himself sometimes finds it’s a difficult situation,” the Dalai Lama has added. The Reuters report said Tibetan leaders see some hope that Xi, who took party leadership in 2012 and state presidency the following year, could be more conciliatory because his mother was a Buddhist while his father was friendly with the Dalai Lama. The Dalai Lama has cautioned, however, that change could be difficult and far off. “Now this president is quite active and realistic. However, the old thinking is still very much well entrenched. So change is difficult,” he has said. However, Chinese Foreign Ministry spokesman Qin Gang, asked about the comments, has insisted that the Dalai Lama must abandon his support for separatism, adding there was no split in the government over how to handle Tibet.